Ileana von Hohenzollern-Sigmaringen, Princess of Romania was born on 5 January 1909 at Bucharest, RomaniaG.1 She was the daughter of Ferdinand Viktor Albert Meinrad von Hohenzollern-Sigmaringen, King of Romania and Marie Alexandra Victoria Saxe-Coburg and Gotha, Princess of Edinburgh. She married, firstly, Anton Erzherzog von Österreich, son of Leopold Salvator Erzherzog von Österreich and Blanca de Castilla de Borbón, Infanta d'España, on 26 July 1931 at Sinaia, RomaniaG.1 She and Anton Erzherzog von Österreich were divorced on 19 May 1954 at Vienna, AustriaG.2 She married, secondly, Dr. Stefan Virgil Issarescu, son of Ionn Issarescu and Virginia Popescu, on 19 June 1954.1 She and Dr. Stefan Virgil Issarescu were divorced in 1965.1 She died on 21 January 1991 at age 82 at Ohio, U.S.A.G. She gained the title of Princess Ileana of Romania.1 She took the religious name of Mother Alexandra of the Orthodox Monastery of the Transfiguration in 1968.1 She was a nun and the Abbess between 1968 and 1980 at Orthodox Monastery of the Holy Transfiguration, Pennsylvania, U.S.A.G, which she founded. [S12] C. Arnold McNaughton, The Book of Kings: A Royal Genealogy, in 3 volumes (London, U.K.: Garnstone Press, 1973), volume 1, page 372. Hereinafter cited as The Book of Kings. Mircea von Hohenzollern-Sigmaringen, Prince of Romania was born on 3 January 1913 at Bucharest, RomaniaG.1 He was the son of Ferdinand Viktor Albert Meinrad von Hohenzollern-Sigmaringen, King of Romania and Marie Alexandra Victoria Saxe-Coburg and Gotha, Princess of Edinburgh. He died on 2 November 1916 at age 3 at Buftea, RomaniaG.1 He was buried at Cotroceni Palace, Bucharest, RomaniaG. Leopold Stephan Prinz von Hohenzollern-Sigmaringen was born on 22 September 1835. He was the son of Karl Anton Fürst von Hohenzollern-Sigmaringen and Josephine Prinzessin von Baden. He married Antonia Maria de Bragança e Saxe-Coburgo-Gotha, Infanta de Portugal, daughter of Ferdinand II August Prinz von Sachsen-Coburg-Saalfeld and Maria da Glória de Bragança, Rainha de Portugal, on 12 September 1861 at Lisbon, PortugalG. He died on 8 June 1905 at age 69. Antonia Maria de Bragança e Saxe-Coburgo-Gotha, Infanta de Portugal was born on 17 February 1845 at Lisbon, PortugalG. She was the daughter of Ferdinand II August Prinz von Sachsen-Coburg-Saalfeld and Maria da Glória de Bragança, Rainha de Portugal.3 She married Leopold Stephan Prinz von Hohenzollern-Sigmaringen, son of Karl Anton Fürst von Hohenzollern-Sigmaringen and Josephine Prinzessin von Baden, on 12 September 1861 at Lisbon, PortugalG. She died on 27 December 1913 at age 68 at Sigmaringen, Baden-Württemburg, Germany. [S12] C. Arnold McNaughton, The Book of Kings, volume 1, page 81. [S12] C. Arnold McNaughton, The Book of Kings, volume 1, page 41. [S12] C. Arnold McNaughton, The Book of Kings: A Royal Genealogy, in 3 volumes (London, U.K.: Garnstone Press, 1973), volume 1, page 119. Hereinafter cited as The Book of Kings. 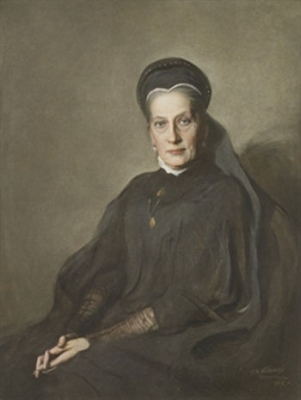 Stephanie Prinzessin von Hohenzollern-Sigmaringen was born on 15 July 1837. She was the daughter of Karl Anton Fürst von Hohenzollern-Sigmaringen and Josephine Prinzessin von Baden. She married Pedro V de Bragança e Saxe-Coburgo-Gotha, Rei de Portugal, son of Ferdinand II August Prinz von Sachsen-Coburg-Saalfeld and Maria da Glória de Bragança, Rainha de Portugal, on 18 May 1858 at Lisbon, PortugalG. She died on 17 July 1859 at age 22 at Lisbon, PortugalG.